The other major aspect occurring today is the Sun trine Jupiter. This aspect really knows abundance and has no idea how to do anything small or trivial. In fact, those with this aspect in their natal chart cannot even wrap their brain around 'go small and settle'. It's impossible thinking for this aspect. Yes, President Trump has this aspect in his natal chart. Jupiter will form a conjunction with the Sun once a year and it will make a trine to the Sun twice a year. So while Jupiter is in Scorpio from October 10, 2017 until Thursday, November 8, 2018, it made its conjunction to the Sun in Scorpio back on October 26, 2017 and it will make its two trines today, March 13, 2018 with the Sun in Pisces and July 5, 2018 with the Sun in Cancer. This trine is optimistic, happy-go-lucky and only sees positive outcomes. This aspect can see the positive outcome that no one else saw coming or even considered, since so many people find it easier to focus on the negative. The Sun (which is actually a Star) and Jupiter (a planet) are the two biggest cosmic bodies in our Solar System. When you put these two cosmic bodies together BIG things happen because by nature they are too BIG not to be noticed. The Sun naturally rules Leo the lion, who is the king or royalty of the zodiac, but then Jupiter is also known as the king planet. Do you see the majesty and the magnificence of this combination? It has royalty, abundance, lavishness, gold and more than 'plenty' showered all over it. This energy cannot hide because it is too BIG not to be seen. This Light cannot hide under a bushel because it is too brilliant. You cannot hide your brilliance (shine) either. This Light cannot be put out because that would be the end of the world. This aspect breathes success no matter which way it turns. Further, it would be highly unusual to go without the comforts in Life with this aspect showing up. So even though Venus square Saturn is rotten, this aspect shows up at the same time and makes it all better. Let's not forget, we also have the two (2) lunar aspects working with our emotions so that Venus square Saturn doesn't leave us laying on the ground all crumpled-up in a heap of mess for too long. There is just too much fantastic energy today to allow ourselves to be overtaken by Venus square Saturn. They say money can't buy happiness but when you are feeling crappy, lonely and despondent, it can certainly help. Abundance is some form can take the edge off and is certainly better than doing drugs or drinking alcohol to try to feel better thereby taking you out of the game of Life and operating unconsciouslly. Right? Folks, look for the abundance. Remember from the March 2018 Astro Memes and from the notations in the aspect list below, these energies are showing up in applying (approaching degrees) on March 6th and 7th and lasting until March 19th and 20th in separating (leaving) degrees. Make your choices wisely and be aware of these that you do in fact get a choice. For the Sun Trine Jupiter today, I opened up the entire page so you can read the ENTIRE aspect instead of just a couple of paragraphs. This entire write-up is in my 'Astrology Aspects eBook'. 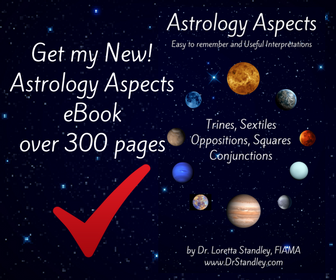 So here is a sample of the kind of write-ups you can expect in my Astrology Aspects eBook. Get the E-BOOK! By purchasing the eBook you support all of the enormous amount of monthly fees that this website has to make every single month to keep the site going. This site pays out an enormous amount of monthly fees in support, hosting, domains, software, graphics, contact forms, icon graphics, etc., every single month. That's right, it take a lot of $$$$ to keep the site going and then the next month comes and all of the fees roll around again. The eBooks on my site help to make this site a physical reality. If no one wants to click on ads, then we website owners have to get creative to keep our websites running. That's the reality. 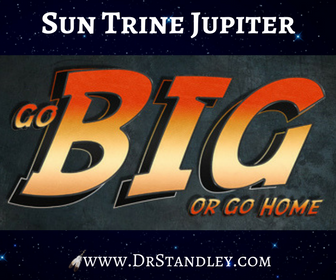 The Sun Trine Jupiter is an awesome aspect that occurs twice a year. The next time will be on July 5, 2018. Download the 'Venus Square Saturn' chart wheel here! 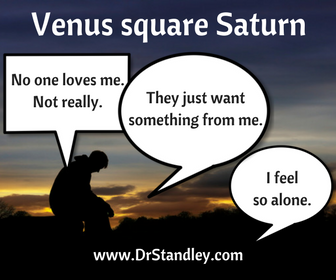 Venus in Aries square Saturn in Capricorn at exactly 8:39 AM EDT. This energy began on March 7th, it is exact today and it ends on March 19th. The Moon in Aquarius sextile Venus in Aries at exactly 11:21 AM EDT. You will feel this energy within 12-14 hours 'before and after' it occurs. The Sun in Pisces trine Jupiter in Scorpio at exactly 4:06 PM EDT. This energy began on March 6th, it is exact today and it ends on March 20th. 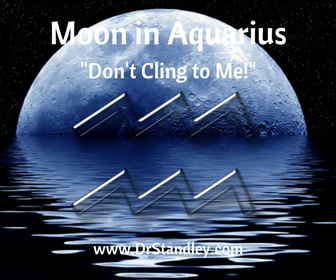 The Moon in Aquarius sextile Mercury in Pisces at exactly 5:36 PM EDT. You will feel this energy within 12-14 hours 'before and after' it occurs.